Check this same mixer grinder on other stores. Askmebazaar is offering great from Philips brand. 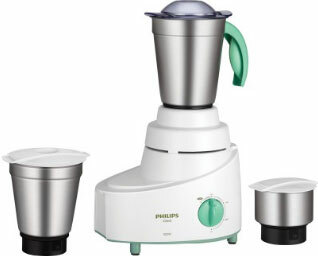 Here Askmebazaar is selling Philips HL 1606/03 mixer grinder at just Rs. 1644 after applying the coupon code. Well the actual price of this mixer grinder is 2995 but at Askmebazaar it is at just Rs. 1644. Buy this grinder and make your kitchen tasks easy and safe with Philips HL1606/03 mixer grinder. How to get this Philips mixer grinder check the below steps. Nice and fast mixer grinder from Philips. Lift and grind blades ensure consistent grinding.